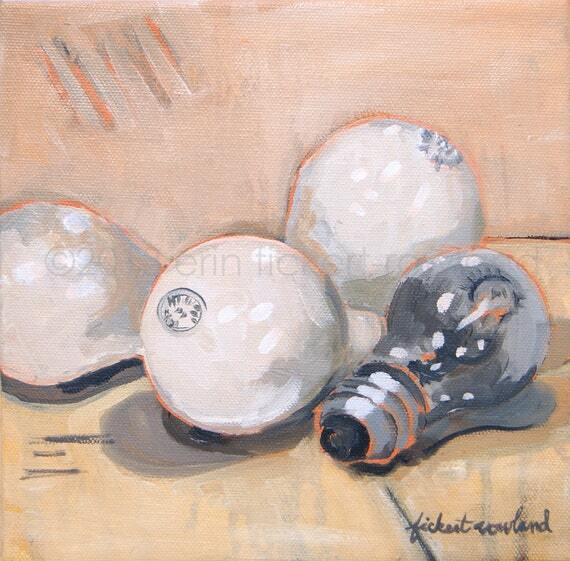 I've been working on new series of small paintings featuring a collection of light bulbs, which represent ideas and invention. 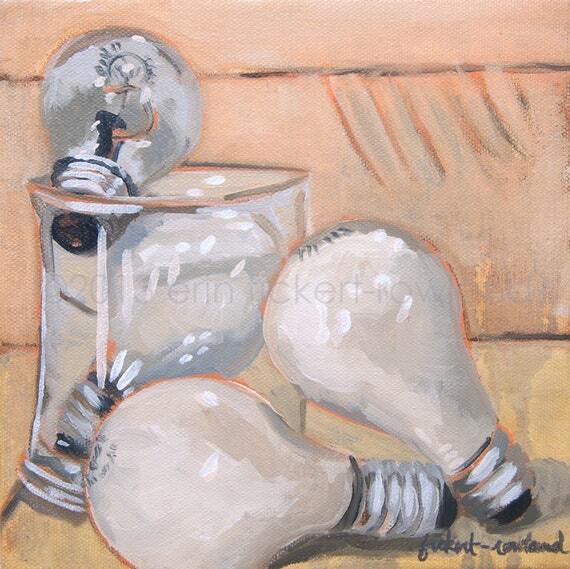 I love the original design of light bulbs (as opposed to their new, efficient, modern cousins), and wanted to paint them with a muted, neutral palette. Using warm tones of peach, ochre, sepia, gray, cream, and white, I have combined both thin, drippy paint and thick impressionist brushstrokes to create richly textured images. 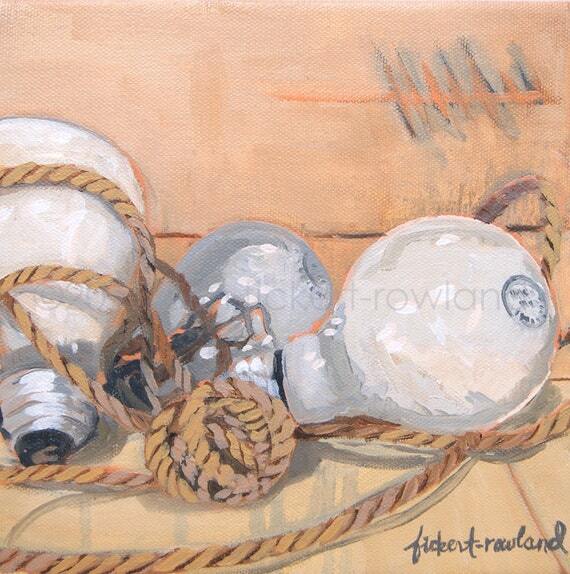 There is a bright pop of orange outlining the objects to create the effect of an energetic glow. These paintings are all on 8 inch x 8 inch gallery wrapped canvas, and are now available at Calico Home in Denver, CO.